There has been a huge response to our annual Basic & Beyond workshop which takes place in January 19th in Rathmichael Co.Dublin. Places are allocated on a first come first serve basis so if you are interested in attending (or giving it as a gift to somebody else) you should print the form and send it off as soon as possible. Click on this link for a copy of the application form Basic & Beyond 2013 application form . You need to include a cheque to secure a place on the workshop so to avoid disappointment book now. We will be holding our next Sunday Session on November 11th in the studio in the Phoenix Park from 10.30-13.00. We will be looking at some of the work made by participants in the recent workshop with Jeanette Appleton. Everyone is welcome. There is a small charge of €5 to cover the cost of tea, coffee and biscuits. 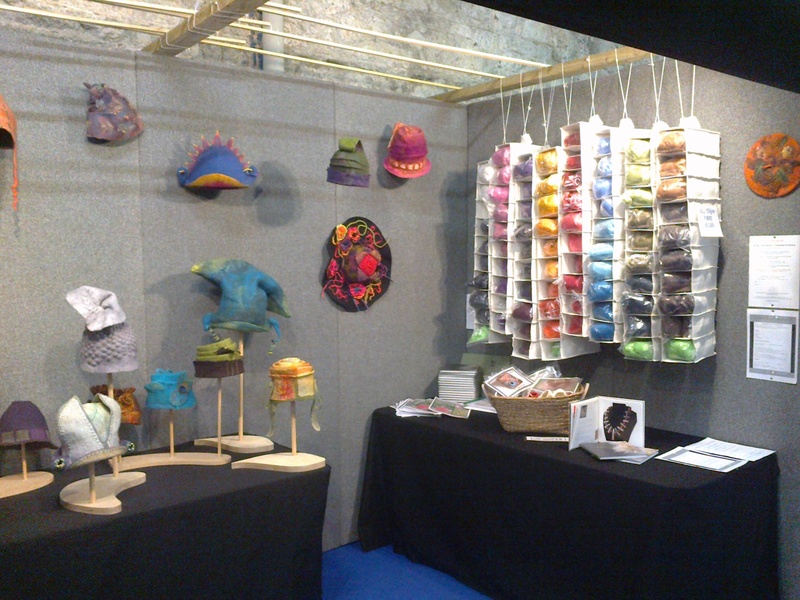 There was a lot of interest in our January workshop at the recent Knitting & Stitching Show in the RDS, places are allocated on a first come first serve basis so if you are interested in attending (or giving it as a gift to somebody else) you should print the form and send it off as soon as possible. Click on this link for a copy of the application form Basic & Beyond 2013 application form . You need to include a cheque to secure a place on the workshop but the cheque will not be lodged until after Christmas. 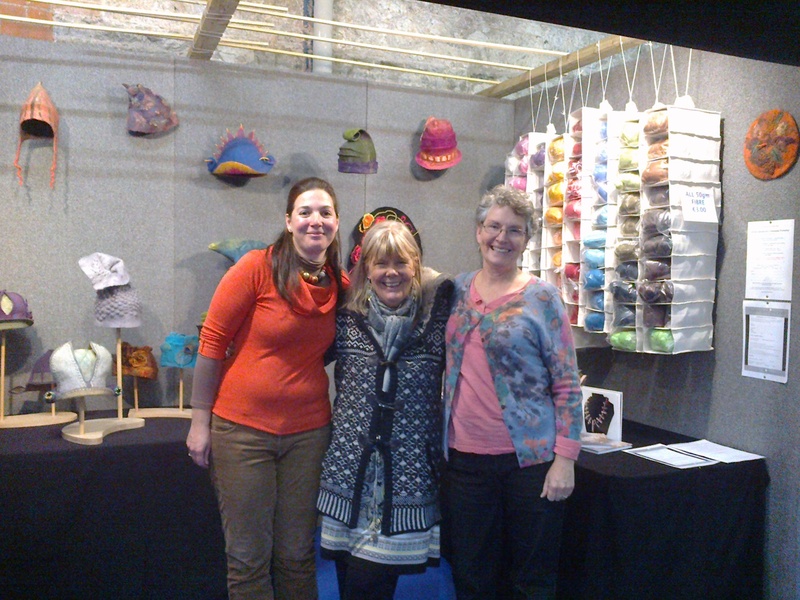 A big thank you to everyone who helped out at our stand at this years Knitting & Stitching show. It was one of our most successful shows and Maureen,who was part of the organising team, sent a great email today describing the show. 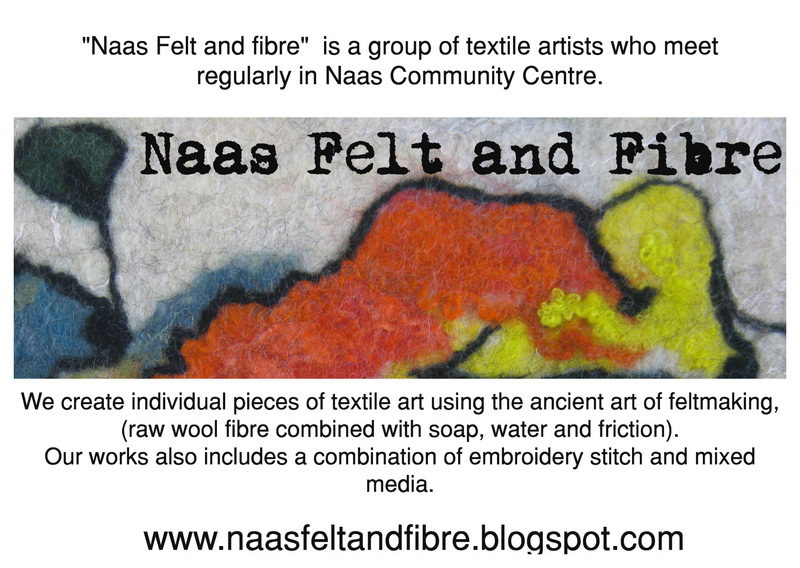 “The interest in our felt was mega! Basic & Beyond forms all handed out, more copies made and they’re all gone too. Lots of people either joined or renewed their membership. Many, many vendors and artists commented on how good our stand looked. I think we all agree on that! Well done set up team, especially Eamonn who help with the structural work. Gotta love a man with a hammer! The theme of hats was a definite winner and got such a positive reaction. The fibre from DHG was extremely popular, and by the end of Friday there were only about 25 bags left, and at the end of the show it’s all gone! We could have sold almost twice the amount! The white was gone by lunch time Thursday. And I was asked for Wensleydale several times. The learning curve classes were popular as always, well organised and prepared by the team. So, well done ladies, I had a ball working with you all. The only thing missing was our Holly.” (who is away in the US and greatly missed). 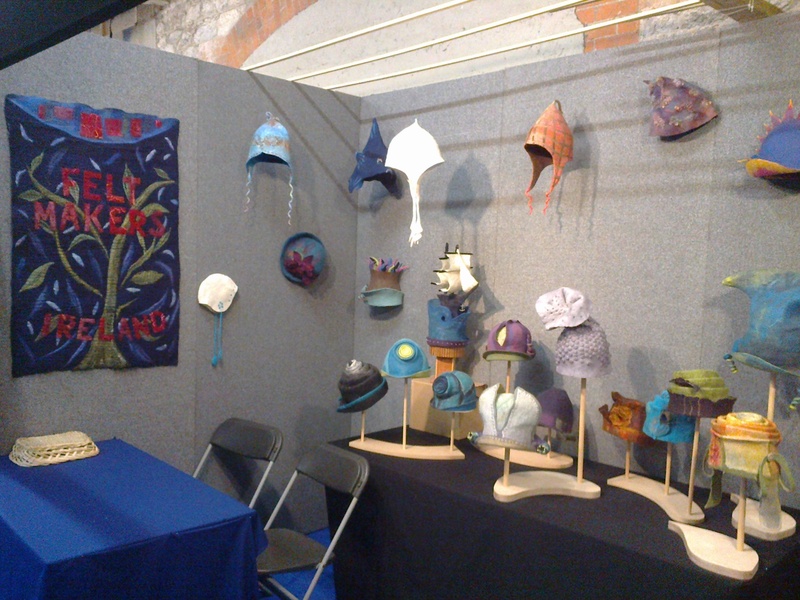 The Show opened today in the RDS so if you are planning to attend please come and visit the Feltmakers Ireland Stand at N29, there is a fab display of felt hats made by some of our talented members. 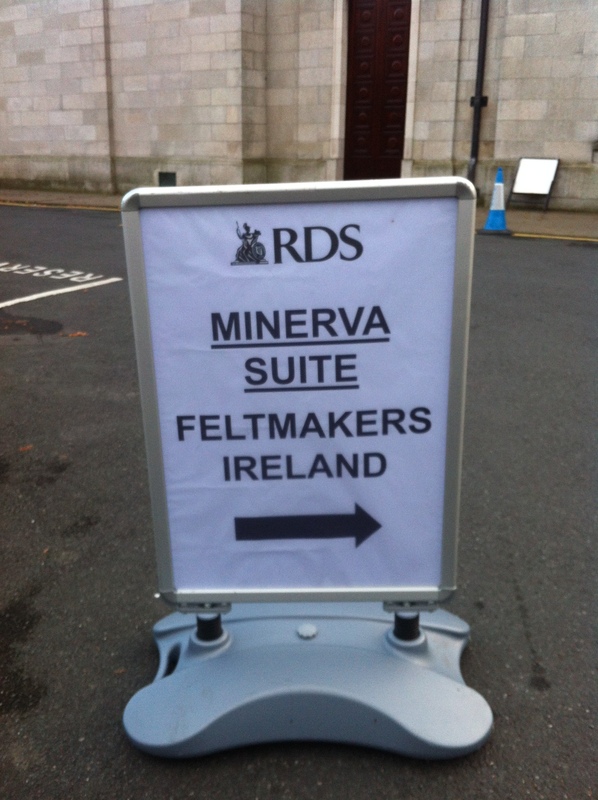 The RDS have been really helpful this week when we held a two day masterclass with Jeanette Appleton in the beautiful Minerva Suite – thanks to all the staff of the RDS who made us very welcome.